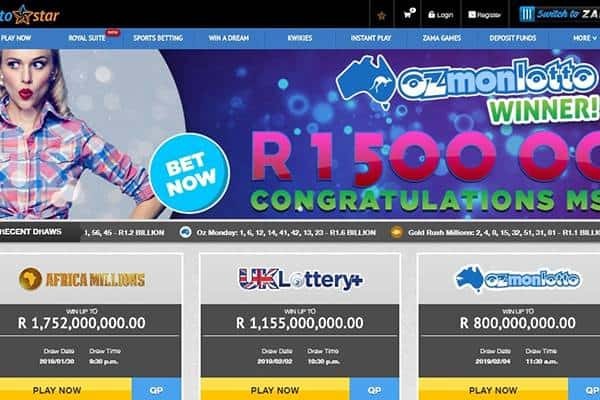 An approved, licenced & regulated (Licence Number 9-23-6-1-0001b) South African lottery operator which offers you fixed-odds bets on some of the world’s biggest lottery draws. Lottostar.co.za was established back in 2007 and offering its goods exclusively for South African customers. 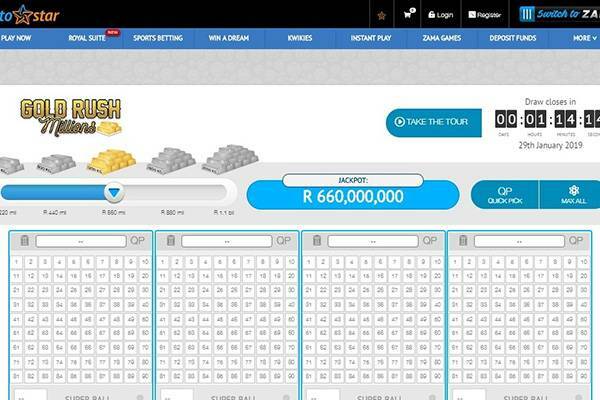 The fixed-odds method of betting in Lottostar is quite different from the major online lottery operators in a way that winning ensures you a prize that’s much smaller than the actual jackpot you betted on – in other words: playing in Lottostar.co.za is betting on lottery draw outcome rather than buying an actual ticket. We find that fact as a major downside for Lottostar but need to take under consideration this is due to regulatory restraints that are bestowed on the brand. Betting on the outcome of lottery draws from around the world (including some American draws such as: Mega Millions and Powerball): 7 lotteries are available to choose from, each one has separate odds and payout rates in case your chosen numbers came up in the actual draw. This is also referred to as system betting (fixed odds for guessing right the lottery numbers). Playing one of 3 Kino games (Kino 9/12 and 15) which take place every 5 minutes throughout the entire day, every day. In Kino you have possible 80 numbers, from them, you’re required to choose 9/12 or 15 (depends on the Kino game you chose). 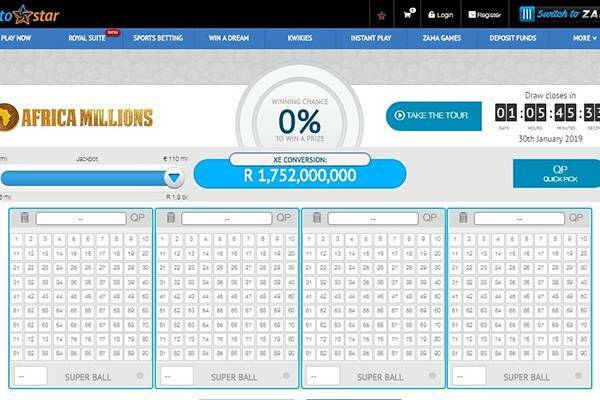 Prizes are high and can reach to instant payouts of R9,000,000. Lottostar nailed a very strong lineup of lottery draws a user can choose from on its site, whether it’s the huge American jackpots (Powerball and Mega Millions) or Europe’s most attractive lotteries (Euro Millions and Eurojackpot). A bit disappointing is the fact you can’t actually win the exact jackpots for each draw due to the fixed odds method, Lottostar is not purchasing a ticket for you that actually gives you the option to win the big jackpot and claim your prize (like some of our online lottery success stories). Lottostar is offering some nice features to enhance your online lottery experience: the Jackpot Booster that can potentially increase your prize, the Win-o-Meter that shows you the chances of you winning the jackpot based on the number of lines you picked and the Max All feature that randomly selects lucky numbers for you and takes each bet you take to the maximum. Thumbs up on that category – LottoStar did a great job designing a well responsive website that adapts to the mobile device you’re using (either it’s a mobile phone or tablet). None of the site’s core features is missing in the mobile version so you can expect a solid experience on-the-go. There are no promotions available on the site. 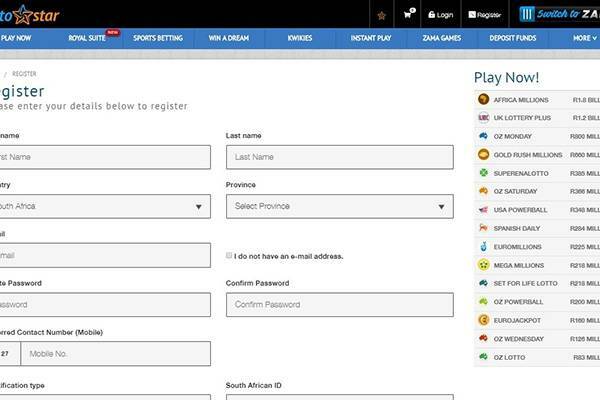 Depositing to Lottostar’s account wallet is pretty simple for South Africans. They accept a variety of payment options that are very popular and widely available. This is a review aspect LottoStar seem to excel, they made it simple to reach them by offering a number of channels, some only operate within working hours – no 24/7 support. There’s a contact us form, live chat option, phone, and email. 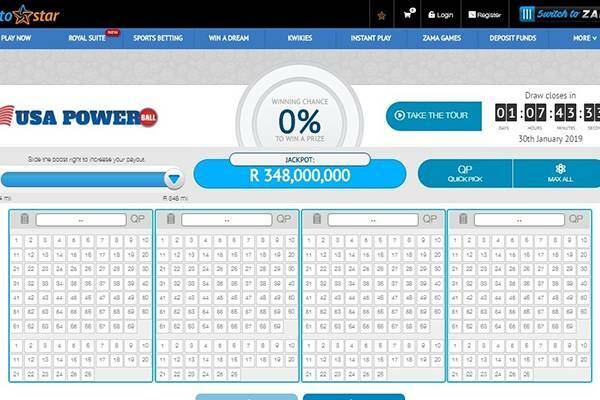 Is LottoStar Lotto legitimate or fraudulent? The site is ranked 1,048 in South Africa on Alexa, this is a strong indication of the popularity this site has within its target audience. It is regulated and uses 3rd party services for self-monitoring. It does show all the signs of a legitimate operation and there were no unaddressed complaints found online. For this, at this point, we feel comfortable giving our legitimacy sign. We’ll re-audit periodically to make sure this sign of approval still stands. 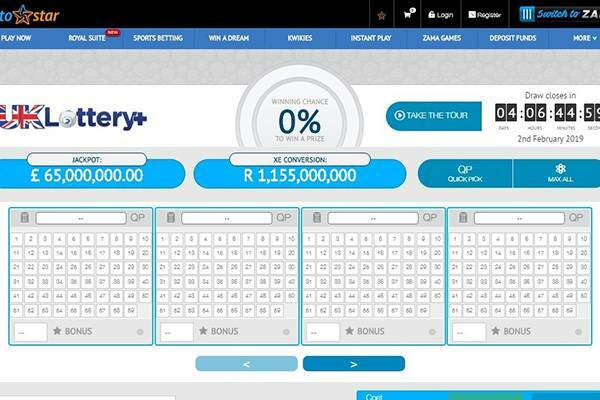 A very solid online lottery operator, that due to regulation can offer its service to 18+ South African residents only. It’s disappointing there is no actual participation in the big lottery jackpots you can bet on – this also due to regulatory restraints. Overall the user experience in the site is decent, you get an easy and comfortable access to the site from your mobile devices so lottery bets on-the-go are super easy with LottoStar. If you encounter any issues with Lottostar services, support is one phone call or e-mail away (there is also a physical address for you if you want to address them directly) – as expected from a fully regulated operator.